Whatever industry you belong to, if you want to make your business or company known to more people than your local area, you definitely have to venture to online marketing and set up a company website or a blog site. To make sure that your target audience will find your page, stay on your site, browse through your items, and eventually buy your services or products, your website has to be optimized and organized based on the needs of the consumers. This is one reason why you need to attend the event entitled, “Online Organizing & Making Social Media Count”. 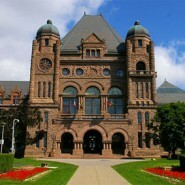 This gathering is scheduled on January 16, 2013 and it will be held at the Ontario Institute for Studies in Education, University of Toronto. In their talks, it is expected that the speakers will tell proper methods of organizing the website and mixing social media and business together to your advantage. The event will start at 6:00 o’clock in the evening and will end at 9:00 o’clock. Within the three hours of comprehensive training, every participant will be exposed to essential knowledge pertaining to using the internet as a vehicle for increasing sales and marketing your products no matter what services or items you are offering. Aside from bringing the netizens and the target niche to visit your page, techniques on how to mobilize these audiences will also be taught. Since website statistics are very important when organizing your pages and blogs, there will also be lessons on using website analytics tools to see how your webpage is doing and if the page organization techniques that you have been using are working or not. The trainer for this event is Anil Kanji who has more than 16 years of experience in both marketing and communication aspects of businesses and non-profit fundraisers. To attend the event, you need to register ahead of time. The exact campus location will be announced a week prior to the event.